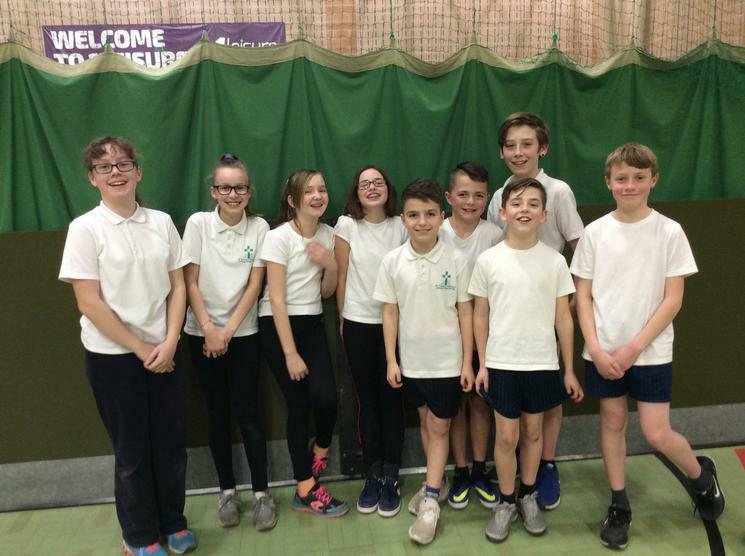 On Wednesday 8th February, the Year 6 Basketball Team visited Medina College to compete in the Isle of Wight Basketball Finals. It was the next step after the Newport heat and we were in a tough preliminary league group of the eventual winners and runners up of the competition. In the league stage we were very unfortunate not to qualify for the semi-final, losing 2 very close games, winning one and drawing one (with the winners Gatten and Lake). However in the final game we played fantastically again and drew against Broadlea to finish 7th overall. A wonderful team spirit throughout the two tournaments and a real credit to the school.